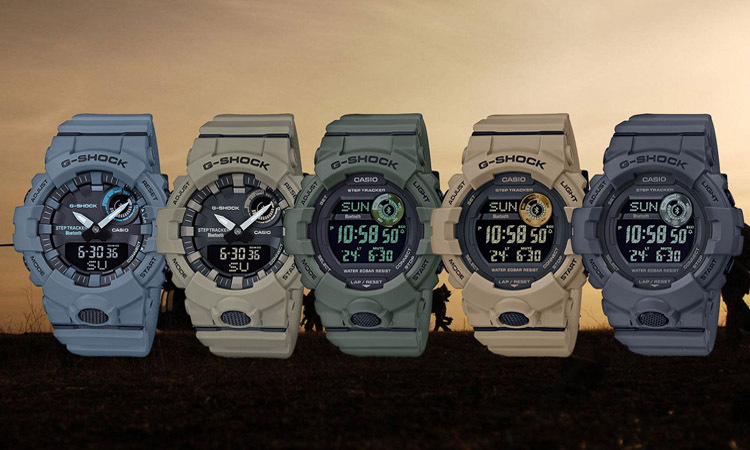 High-value professional G-shock for pilots and other outdoor specialists alike. 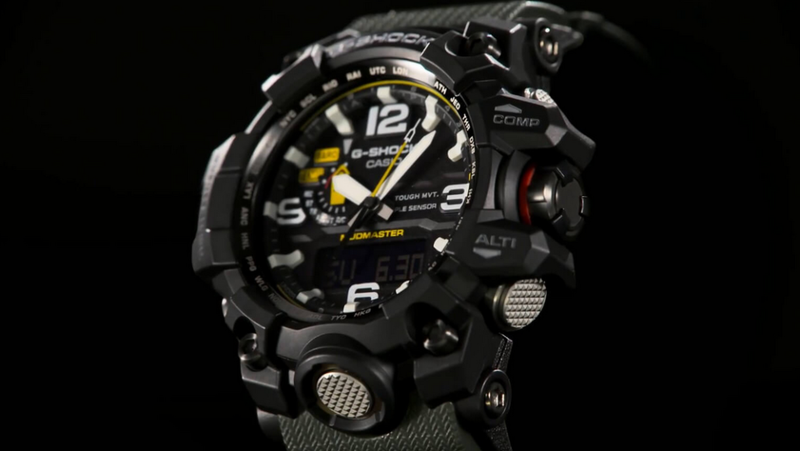 The Top Aviation Series G-Shock! 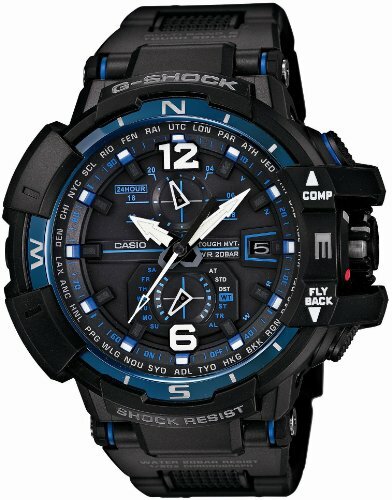 The watch is awesome! 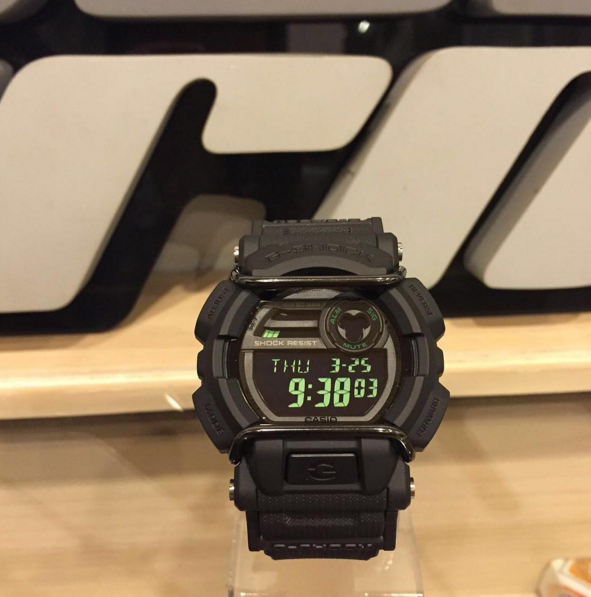 A true 21st century watch. 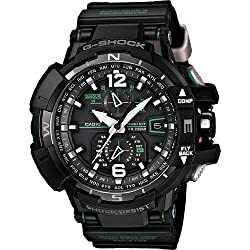 Simply this watch is great. 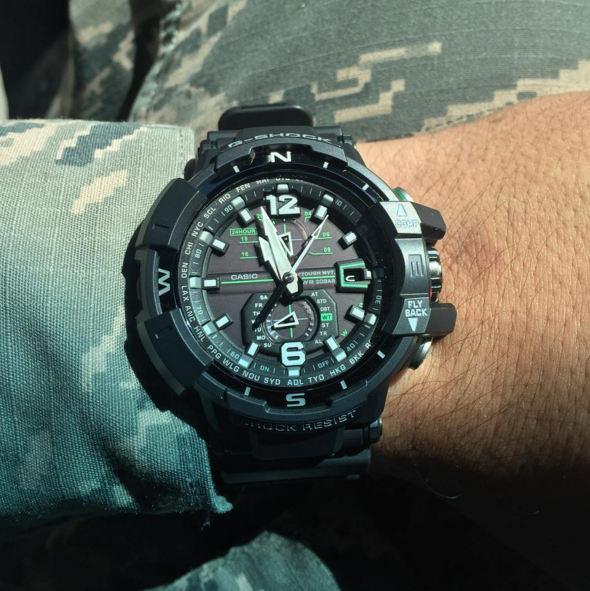 I’m in the army and wanted a watch that would survive virtually anything shy of being run over by a 62 ton tank. 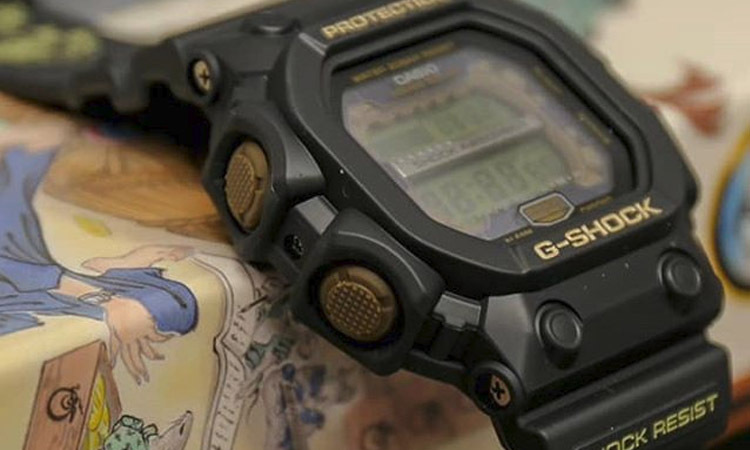 The G-Shock GWA-1100 is a masterpiece which has a bunch of greatly implemented features in a quality casing in order to offer one of the best G-Shock experiences. It is true that it comes at a higher price but it is definitely worth every penny as I will demonstrate below. 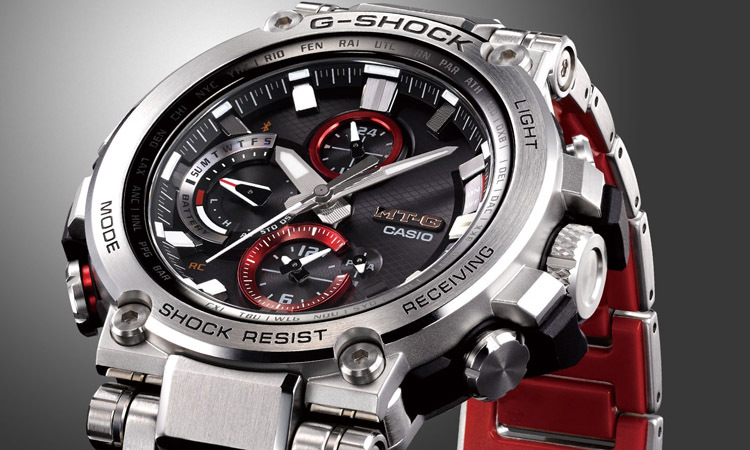 The design is rather futuristic with a very professional feel. This makes it look, feel, and actually be very tough and resistant to all sorts of hazards. 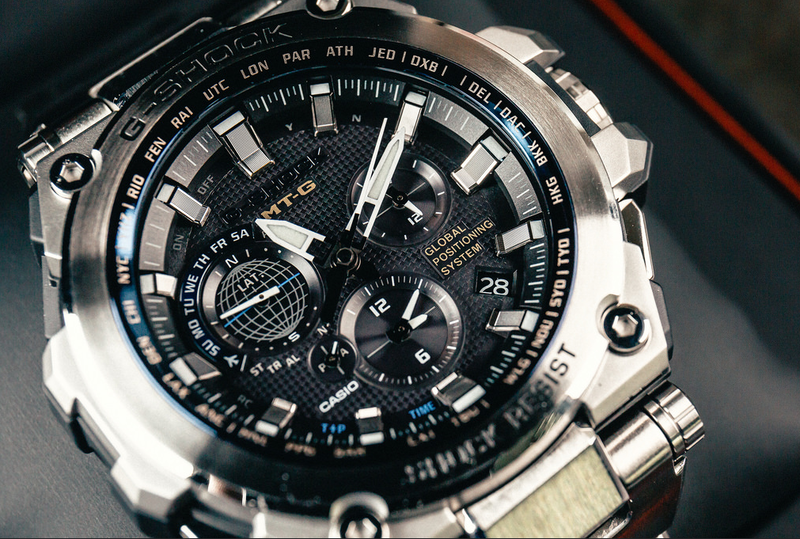 The dial window is made of the famous Sapphire Crystal that is the toughest material available. 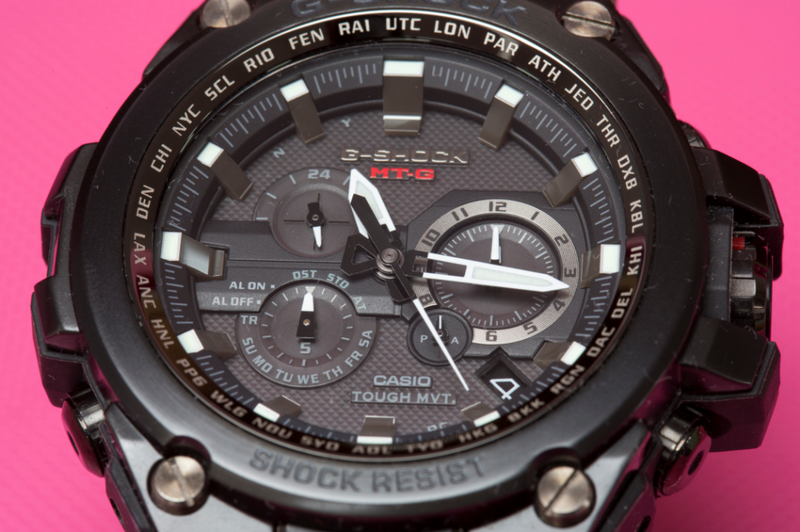 While the window is guaranteed to be indestructible in most situations, in order to improve its toughness Casio lifted the resin edges so that in the case of a fall the impact will be entirely absorbed by the resin. 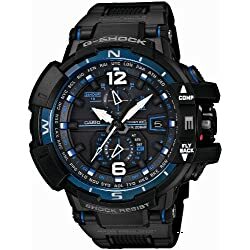 Basically, you can throw it, smash it and abuse it in the worst ways, unless you plan on running it over with a tank the watch will resist just fine. 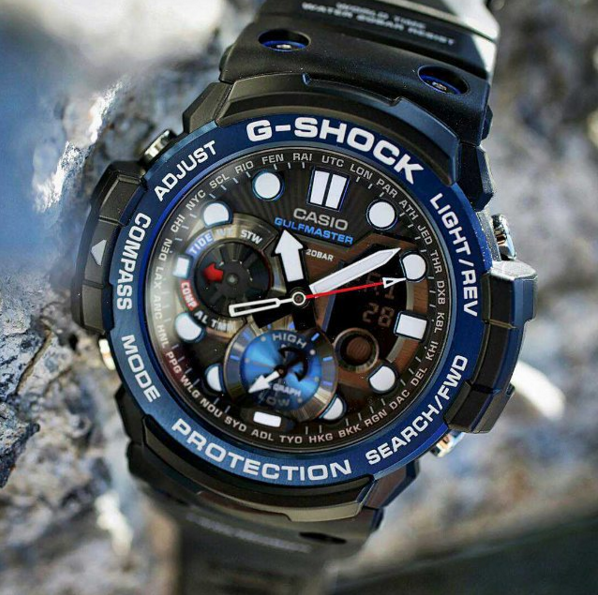 In low light, this G-Shock is also a capable performer. 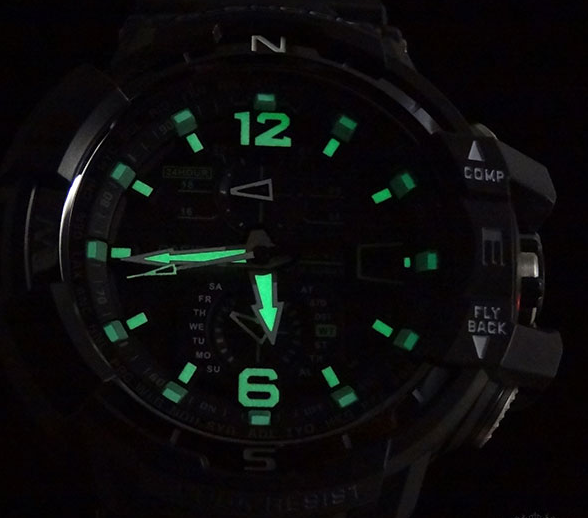 As you can see in the image below the Neobrite index hands and markers assure that the watch is readable in dark environments and even underwater. 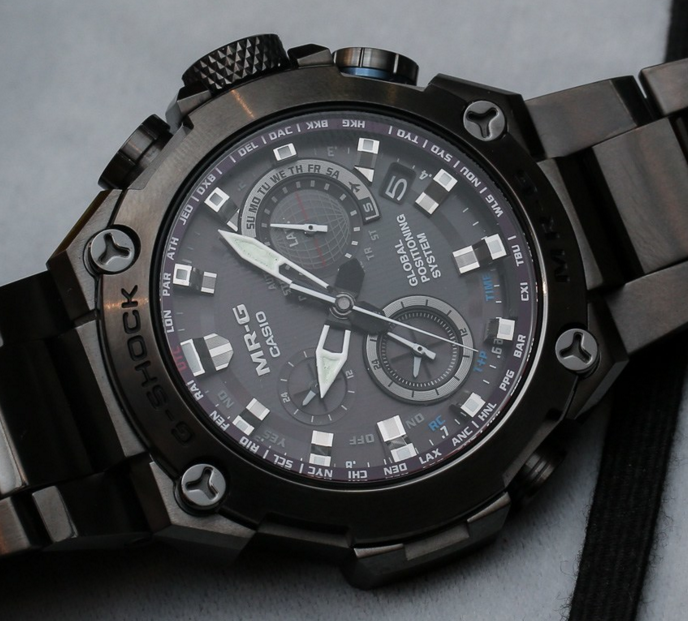 Although overall the illumination is nothing to complain about I would have liked to see a small backlight for the subdials or something similar as we have seen on previous G-Shocks. 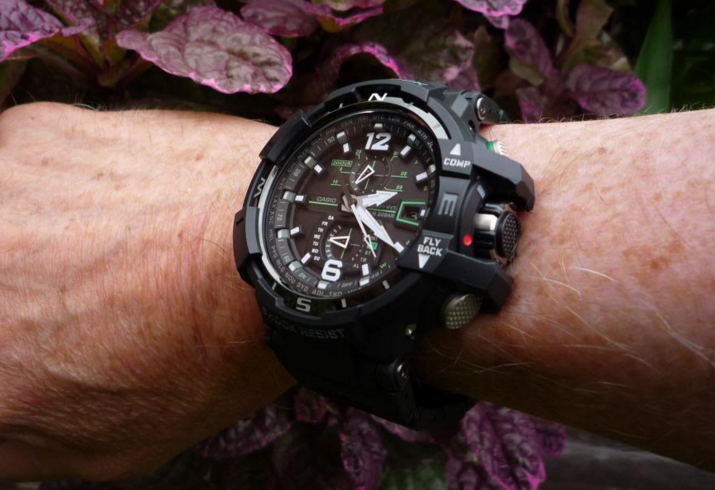 On the wrist, the watch performs surprisingly well. You might think that due to its size the weight is also considerable but this is not entirely the case. 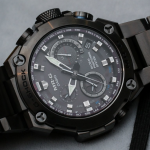 It is quite heavy, don’t get me wrong, but only to some extent, because the footprint of the watch is significant and the weight distributes well across its surface. 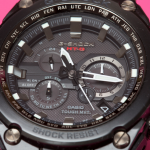 Other than that, according to the hand on which you wear it the smart crown (which is big) is more or less inconvenient. I say this because if you wear it on the right hand it won’t represent a problem, but if you wear it on the left hand the crown and its protectors might feel a little awkward when you twist your wrist. 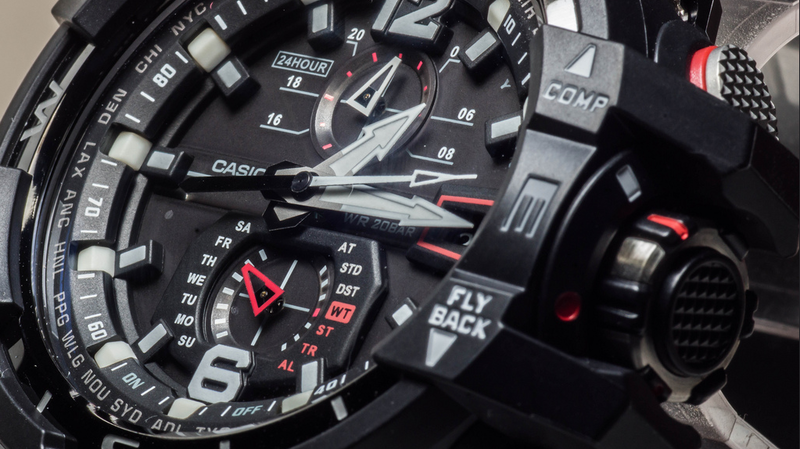 To highlight some of its most impressive features, the Multiband atomic timekeeping assures that you always have the right time by the second. 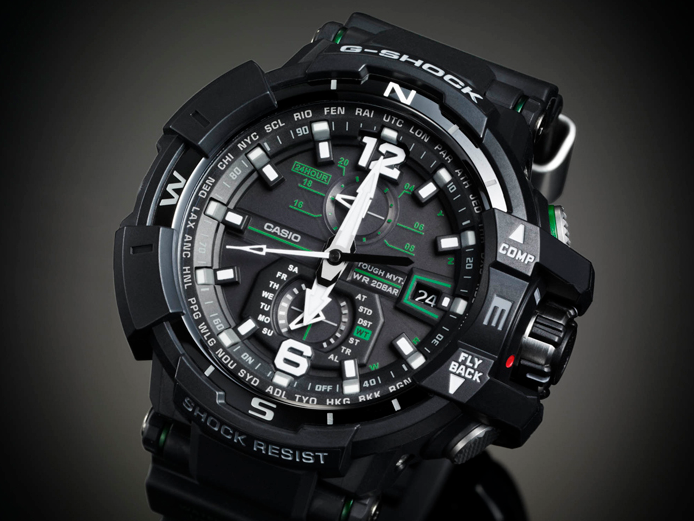 That is possible by receiving radio calibration signals from Casio’s stations from all across the globe. The world time feature offers you a variety of 29 time zones to choose from when travelling to another state or region that uses another time zone. 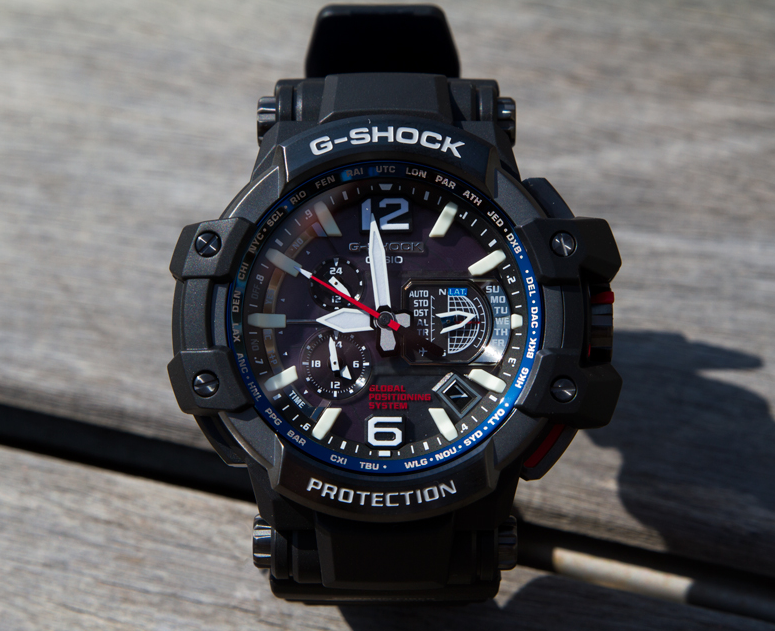 It charges itself from the sun or other artificial light sources and it eliminates the need for changing batteries like on previous G-Shocks. 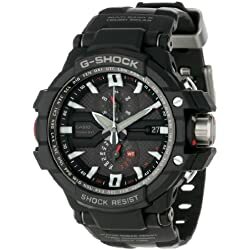 Other than that the stopwatch, countdown timer and water resistance along with the alarms and auto calendar are the same as Casio implemented in most G-Shocks: reliable and easy to use. 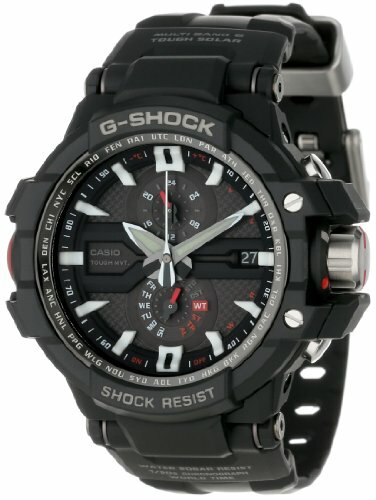 Finally to draw a conclusion I would say that you can’t go wrong with this G-Shock. It is sturdily built, it is stunningly beautiful, it turns heads and last but not least, it helps a lot in everyday activities and outdoor environments with its developed features. 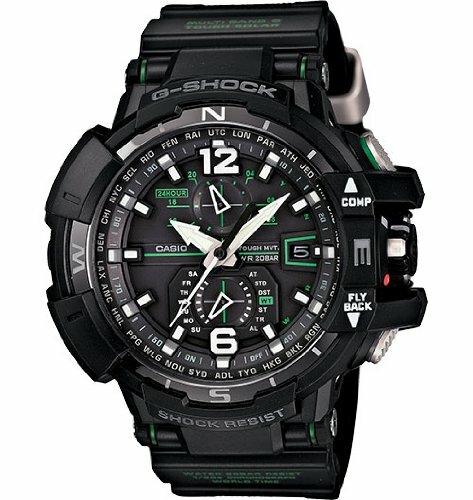 Overall one of the best G-Shocks you can buy for the money and I am not the only one saying that. Just look at the amount of positive feedback it received. Try it and convince yourself. 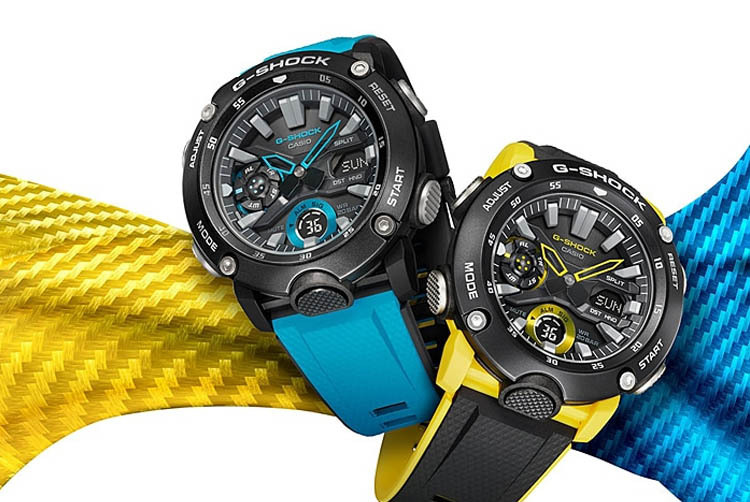 Here are some of the best G-Shocks on the market. Click on their names to go to their individual reviews. 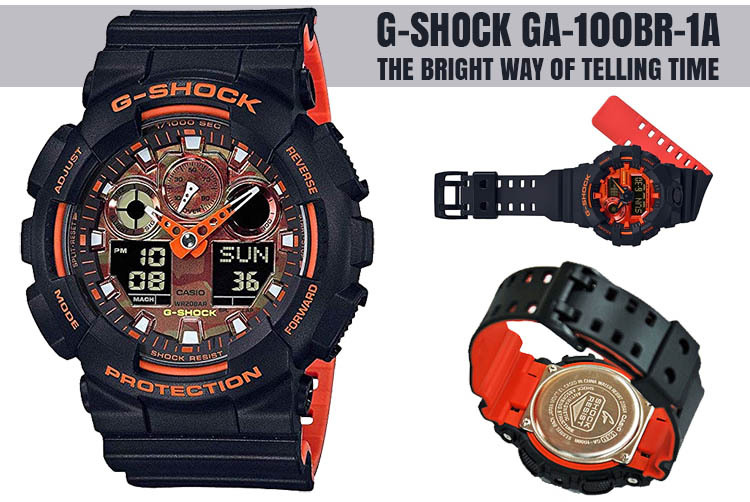 G-Shock MTG-G1000D-1A2JF, G-SHOCK MTG-S1000BD-1A, MRG-G1000B (the best on the market) and the Gravity Master GPW-1000-1A.